Established in July 2016, the Greening Lab is based in the School of Biological Sciences of Monash University in Melbourne, Australia. We are an interdisciplinary team of microbiologists, biochemists, and ecologists who are working together to understand the survival strategies of environmental and pathogenic bacteria. Chris became fascinated by the versatility of bacteria since his undergraduate teachings at the University of Oxford. Following a first-class Honours research project, he undertook a doctorate down under investigating the physiological roles of the hydrogenases in Mycobacterium smegmatis. He then gained postdoctoral and lecturing experience at the University of Otago, CSIRO, and the Australian National University. In 2016, he was appointed as a group leader in Monash University and was later awarded a prestigious ARC DECRA Fellowship. Trained in the fields of biochemistry and microbiology, Chris also has experience in genetics, microbial ecology, and molecular evolution. Away from the lab, he enjoys playing piano and saxophone, trying to stay fit, and getting taken for long walks by his two dogs. Ele is an early-career scientist interested in soil microorganisms. Trained as environmental microbiologist, she obtained her doctoral degree at ETH Zurich on methane-oxidising bacteria in 2016, then gained postdoctoral experience at Charles Darwin University and the University of Melbourne. Since late 2017, Ele has collaborated with the Greening Lab on microbial methane and hydrogen oxidation processes in Australian termite mounds and savanna soils, among other projects. She has been awarded a postdoctoral fellowship by the Swiss National Science Foundation which will keep her busy investigating the ecological role of trace gas scavenging in oligotrophic soil ecosystems. During her spare time, she keeps busy with cooking, hiking, and practicing yoga. 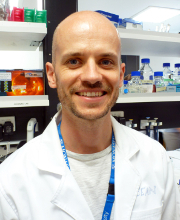 Rhys is microbial biochemist and a card-carrying structural biologist, who likes to use diverse approaches to investigate bacterial form and function. 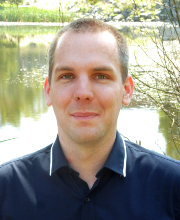 His current research interests include: bacterial metabolism, membrane biogenesis and iron scavenging. He did his PhD at the University of Glasgow in Scotland, investigating antibiotic proteins produced by bacteria for intraspecies competition, a.k.a. How bugs kill bugs. 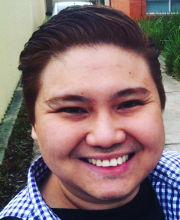 In 2015, he moved to Monash University on a Wellcome Trust research fellowship on protein import in bacteria. 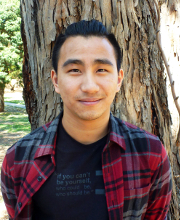 He joined the Greening lab in 2018, where he is, among other things, investigating F420 biosynthesis. Outside of work, he enjoys cooking, travelling, scuba/free diving, fishing and riding his bike. Tent is the full-time research assistant, lab manager, and occasional dog-sitter for the Greening Lab. A graduate of the Australian National University, he did a BSc in Biology and an Honours in Chemistry. During Honours, under Chris’ co-supervision, he studied substrate promiscuity of F420-dependent enzymes in mycobacteria, resulting in three publications. At the Greening Lab, he is currently involved in a range of projects in the ecology and physiology spaces. In his spare time, he enjoys badminton, playing acoustic guitar, and cooking. Guy Shelley currently works as a part-time research assistant in the Greening lab. He is currently studying the processes involved in gas cycling in benthic and pelagic ecosystems in collaboration with Prof Perran Cook. Guy studied chemistry and ecology at Monash University before completing a first-year Honours degree in biology on hydrogen scavenging by bacteria in Antarctic desert soils. Guy also enjoys soil while gardening, but usually tries to avoid hitting it when he cycles around Melbourne and beyond. Helena’s PhD centres on understanding the physiological and ecological roles of H2 metabolism in marine ecosystems. A graduate from the China Medical University in Taiwan, her Master’s thesis was titled “A comparative study of the interaction of Bartonella henselae strains with human endothelial cells”. She subsequently made the switch from medical to environmental research by working as a research assistant for three years at the National Taiwan University and National Sun Yat-sen University. In these roles, she investigated the ecophysiology of freshwater microorganisms and marine invertebrates, resulting in multiple publications. Sean is investigating microbial biodiversity and primary production in global desert ecosystems. After completing his Honours in Evolutionary Biology at the University of Exeter, he spent time working as an environmental field officer down under. He thereafter completed a Masters in Environmental Monitoring, Modelling and Management at King’s College London, learning computer and field based techniques to query environments undergoing change. 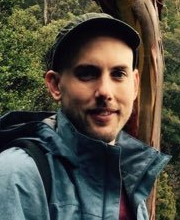 Sean has also worked on ecological restoration and monitoring projects within the context of environmental rehabilitation and agriculture. He enjoys surfing, mountain biking and playing violin. Zahra’s PhD centres on understanding the determinants of trace gas scavenging in mycobacteria. During her first-class Honours project in Microbiology at UNSW, she characterised the effects of sponge symbiont-derived eukaryotic-like proteins on macrophage phagocytosis. Zahra has previously worked as a research assistant investigating neurodegenerative diseases and transcriptional regulation of obesity at UNSW, and researching the role oxidative stressors on rhizobia-legume interactions at the Australian National University. When not in the lab, she enjoys going to increasingly expensive musicals and concerts, snorkeling and baking. Paul is focusing on the hydrogenases and carbon monoxide dehydrogenase in the mycobacterial respiratory chain. After earning his Master’s degree in Microbiology at the University of Santo Tomas, Philippines, he worked as a Research Associate at the Biochemistry and Molecular Biology Laboratory of the University’s Research Center for the Applied and Natural Sciences. He then joined the Microbial Biochemistry Laboratory at the University of Marburg, Germany as a Research Assistant where he continued to develop research skills in molecular biology and biochemistry. In his free time, he enjoys cooking and having slow-paced but long walks. 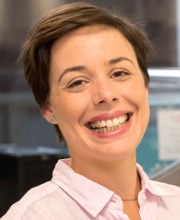 Katie’s PhD focuses on the pathogen Mycobacterium tuberculosis and its ability to utilise alternate energy sources during persistence within the host. Prior to starting her PhD, she majored in Genetics and Biochemistry at Monash University, with a minor in Microbiology. 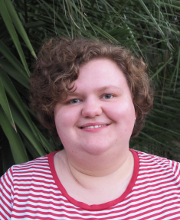 She then completed a first-class Honours project in the Greening lab, in which she investigated the role of carbon monoxide oxidation in mycobacterial persistence, and was awarded the Monash University Genetics Honours Prize in 2018. In her spare time, Katie enjoys reading, relaxing, and playing games (both video and tabletop) with her friends. Bob is using culture-dependent and culture-independent approaches to understand global desert ecosystems. 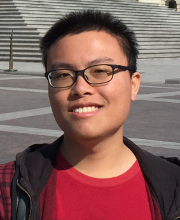 During his undergraduate year in Hong Kong University of Science and Technology, he was involved in multiple projects on marine biology with cultivation and metagenomics. 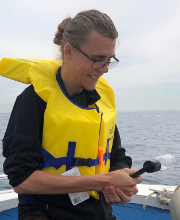 Before joining Greening lab, he worked as a research intern in Bartlett lab at Scripps Institution of Oceanography, isolating extremophiles from high pressure sub-seafloor environment. He enjoys wandering with self-reflection, watching basketball and tennis, and exploring painless ways to stay healthy. Caitlin recently completed her Bachelor of Science at Monash University majoring in Microbiology and Zoology, with a keen interest in bacteria. 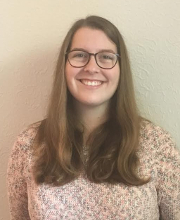 She has joined the Greening lab for an Honours project in 2019 focusing on isolation and characterisation of hydrogen-oxidising bacteria from sandy sediments and other ecosystems. When not at university Cait enjoys playing netball, cooking and looking after her many fish. Sarah’s PhD is examining biodiversity patterns and interactions across trophic levels. She completed her Honours at Monash University, where she implemented a decision support framework for prioritising plant invasions within protected areas, and subsequently worked as a Research Assistant. Her hobbies include reading, drinking great tea and attempting to explore Victoria. She is principally supervised by Prof Melodie McGeoch. Blair Ney: Research Assistant, 2017 – 2018. Currently Medicine Student at University of Melbourne. Joanna Feng: Honours Student, 2017. Currently laboratory assistant at Dorevitch Pathology. Dr Tom Lines: Research Assistant, 2018. Currently postdoctoral fellow at University of Adelaide. Dr Maria Chuvochina: Research Assistant, 2018. Currently research assistant at University of Queensland. 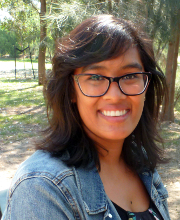 Dr Karen Jordaan: Visiting Postdoctoral Fellow, 2018 – 2019: Currently postdoctoral fellow at University of Pretoria.